A luxury horsebox manufacturer with royal clients is relocating to Barnsley, creating up to 30 jobs. Equi-Trek, who export their equine transportation across the world, are moving into the former Fox Wire building near Stocksbridge to enable them to push forward with growth plans. The family-run company is in the process of closing its five rented locations across Meltham and Slaithwaite in West Yorkshire, and will operate from its new 186,000 sq ft base from January. The majority of the existing 130-strong workforce will move with them, and interviews are currently taking place for jobs in coach building and administration. After launching in 1999, Equi-Trek is now the largest producer of horseboxes and trailers in the UK and the largest exporter of vehicles to Europe too. They have clients in Australia, New Zealand and the Middle East, and following the gain of a commercial relationship with Ford USA they are about to begin exporting vehicles to America. Equi-Trek are also suppliers to the Queen’s estates and the GB equestrian team, and in 2012 they began using their horsebox expertise to manufacture motor homes under the name of Moto-Trek. The relocation will enable them to grow both sides of the business to meet increasing demand. The new site, which is a quarter of a mile long, will provide an additional 50,000 sq ft of space and will house a showroom at the front, with building and manufacturing facilities behind it. Equi-Trek has invested £2.8 million in acquiring, clearing and building on the former Fox Wire property off Stocksbridge by-pass. The company’s relocation has been supported by Enterprising Barnsley, which has helped them to secure a £283,000 grant to back the move from the Leeds City Region Local Enterprise Partnership (LEP). 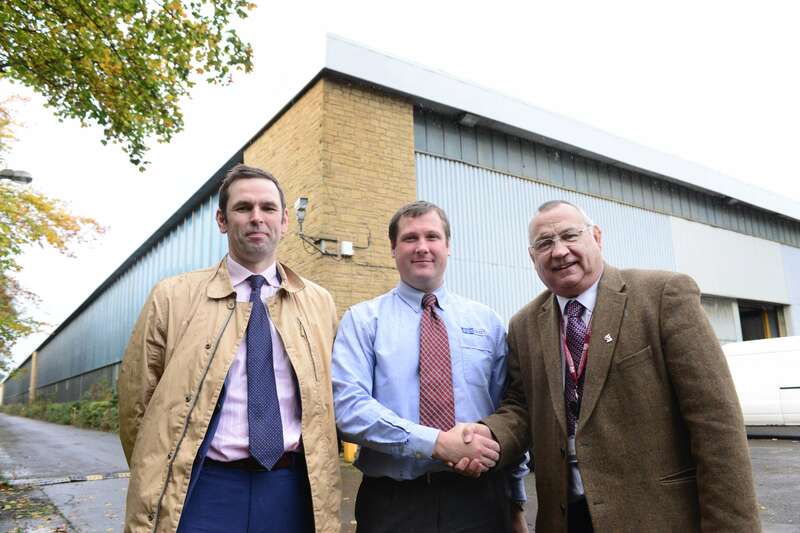 Photograph shows, L-R: Martin Beasley of Enterprising Barnsley, Tom Janion of Equi-Trek and Cllr Roy Miller, cabinet spokesperson for Barnsley Council and member of the Leeds City Region Business Growth Fund panel, outside the premises in Barnsley.